“a woman walks into a bar…” It’s all Greek (wine) to me! The Greeks rolled into town this week – not in a Trojan horse though that would have been okay had it been filled with wine. 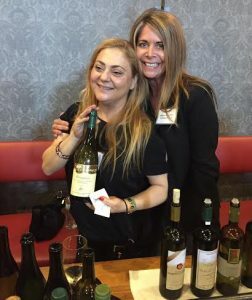 They were on their last leg of a wine promotional tour of the U.S. and we were the lucky recipients of their promotional largesse. Having had wine in Greece, lo, these many years ago, my lasting memory was of simple, local white wine that was served with everything so I was most interested to taste how, in a few decades, Greek wine had evolved. I’m happy to report, it has evolved quite deliciously! As I am not a wine ‘expert’, I have a simple rating system – ‘like it’ and ‘don’t like it’ – so while it is totally subjective, as any wine taster’s opinion will be, my feeling is you shouldn’t drink any wine you ‘don’t like’ because someone said you should ‘like it’. We tasted red wines from the Naoussa Region, in the heart of Macedonia, which was one of the first AOC (aka PDO) designated wine regions in Greece and produces wine from the noble native Xinomavro (meaning “acid-black”) grapes. There are 20, mostly family, wineries in the region including a wine commune. Eight out of the fourteen we tasted were light-bodied (‘like’!) and packed with flavor. The tannins kept them structured and their slightly acid finish makes them great food wines. The last six were heavier bodied and very good. At Republique the next day, the portfolio was expanded to include whites which were lovely and perfect for California drinking. 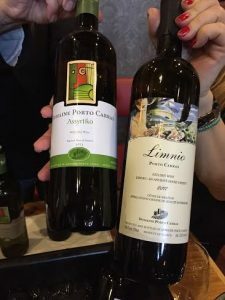 One of the winemakers, Yliana Stengou of Domaine Porto Carras, also runs the gorgeous Porto Carras resort and is soon opening…get this…a WINE SPA! Yes, the seeds of the grapes are pulverized and smeared all over you…well, I didn’t have to hear more…I’m THERE! Yliana, a civil engineer turned winemaker, was delightful and passionate about her wines and reason enough to go to Greece! Porto Carras produces two of the oldest wine varieties in the world! The white Assyrtiko, the red Limnio…both, ostensibly, go back thousands of years and there’s a good reason they lasted so long. Greek wines are a happy revelation, very drinkable and they won’t break the bank. Look for them the next time you go wine shopping. 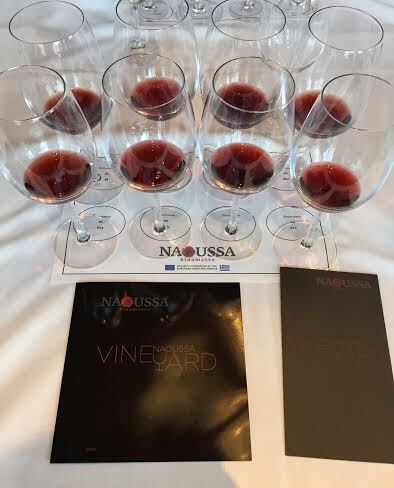 Here’s a link to learn more about Greek wines. Cheers!